Note: The terms at right have been retyped from the illustration to aid in locating terms found in the autopsy reports and testimony. Some terms refer to parts of bones. An example is "head of humerus." 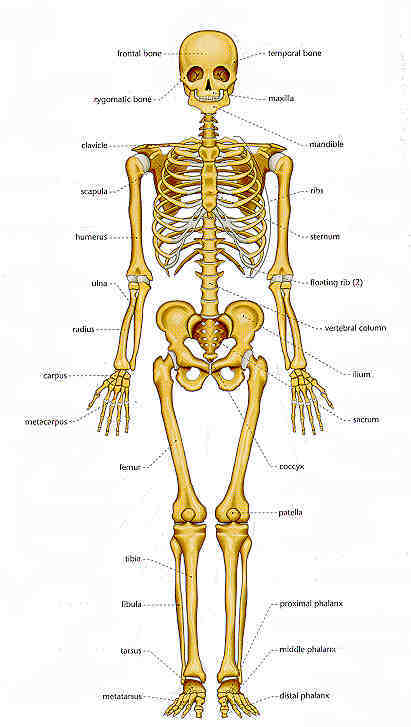 Also see Chart of Human Bones: Rear View.